From the nurse perspective, there were too many agencies bombarding the same nurses trying to steer them to the jobs they wanted filled and not the jobs the nurses were interested in obtaining. From the hospital perspective, recruiting has become a huge undertaking that can lead to less than desired results. Hospital recruiters must take time to update job boards, interview candidates, take calls from agencies, and so on. My Nurse Recruiter (a COEL Enterprises LLC site) understands both perspectives and has tried to take the headaches and heartaches out of the placement process because we do all the work. The staff at My Nurse Recruiter has experience in both nurse recruitment and staffing agency administration. We truly do understand the headaches and aggravation of the process. Using this background, we developed a system that we feel benefits not just the nurses but the facilities and agencies as well. Contact us and find out how My Nurse Recruiter can help. 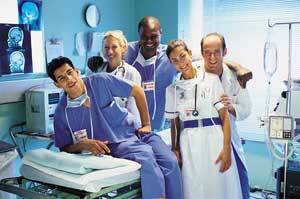 For those interested in getting started in nursing, please visit our online nursing programs site.